Now, Windows 8 games have Xbox Live integration, that’s not new, but this ability to pause a game, and pick it up elsewhere is quite neat. Here’s what TNW expects: Gaming on Windows 8 will become a fully Xbox experience. That will blend into the fact that the Xbox brand is subsuming Zune, which will become Xbox Live Music. Essentially, gaming will become, when possible, cross-platform and cross-device, all powered centrally by the Xbox brand. Not a bad idea, given how strong the Xbox brand is. Also, by leveraging game titles across platforms, Microsoft can push adoption of both devices and games. Questions remain, such as for games that run on multiple devices, will users buy the game once and play everywhere, or be required to purchase it multiple times? Also, how far cross-platform gaming itself will go is hard to pin down – will I eventually be able to play Halo on my desktop against Xbox 360, and NextBox owners? 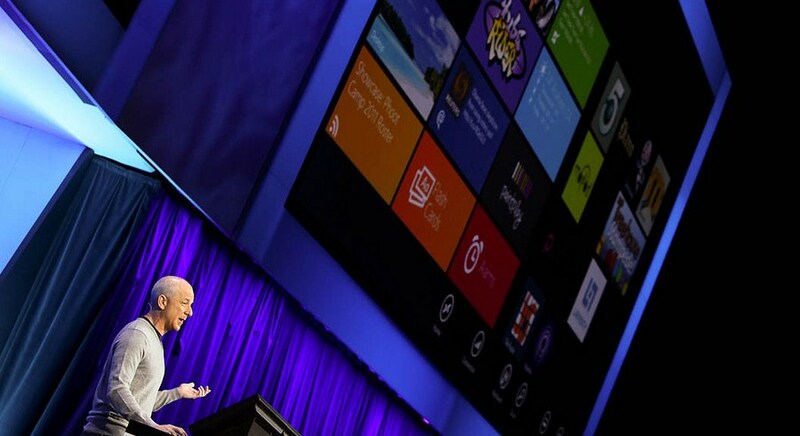 From a different angle, Xbox integration into Windows 8 could become a selling point. Having Xbox capabilities on a person’s computer could be a powerful extension if they are a gamer or digital content enthusiast, making Windows 8 far more interesting proposition than simply an OS with a new user interface. Oh, and if you can’t find Solitaire on your shiny new Windows 8 machine, you have to go and download it. Sacrilege, I know.